One of the coolest things about the Madison area is that it's built around the Yahara chain of lakes. This really makes the Madison area unique and beautiful compared to many other cities. The three most prominent lakes are Lake Monona, Lake Mendota, and Lake Waubesa. Lake Kegonsa is connected and further south in Dane county but is not accessible via a powerboat to the other three lakes. Lake Monona (ma-know-na) is shown here with the skyline of downtown Madison. Below is a picture of me riding my bike around Lake Monona, which is a classic 12 mile ride for just about anyone. Along the shores of Lake Monona is surrounded by mostly Madison with the city of Monona on the East and South end of the lake. Probably the most prominent landmark on the lake is the Monona Terrace Convention Center. This Frank Lloyd Wright designed structure features numerous local events, including the Iron Man, weddings, graduation ceremonies, government functions, and more. 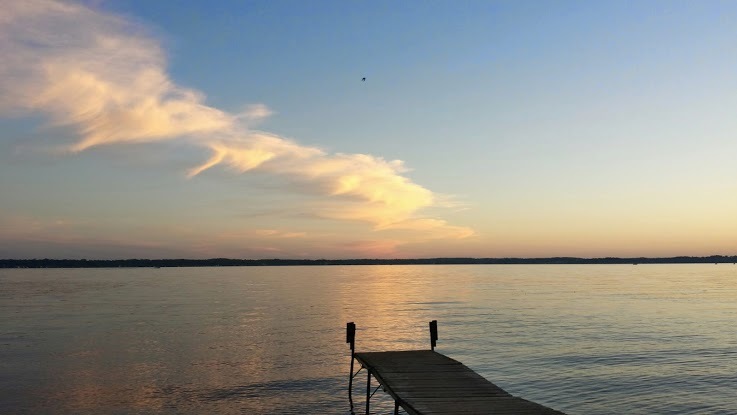 Lake Mendota (men-doe-dah) is the largest lake in the Madison area and has a little more diversity of communities that includes Madison, Maple Bluff, Shorewood Hills, Middleton, and Westport. One of the best places to hang out during warm weather is certainly at the UW Memorial Union. On a beautiful sunny day, it's a great place to relax and watch the sunset, or listen to some music. Lake Waubesa (wah-bee-sah) only has part of Madison along the shores. Most of this lake is surrounded by the Village of McFarland and the Town of Dunn. One thing that makes this lake great, is that there's a handful of restaurants along the shores. So, if you're out boating in the summer and want to grab a sandwich, be sure to check out The Green Lantern or The Beach House. If you prefer sand volleyball check out Christies Landing. 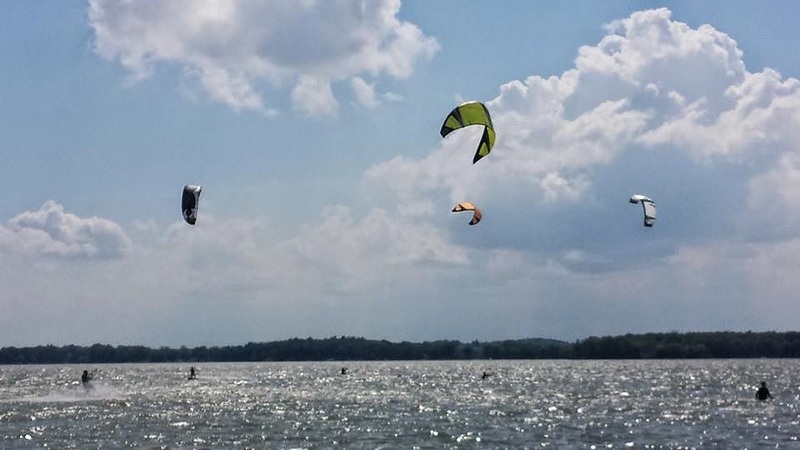 Or for those windy days, try out some kiteboarding by McDaniel Park and then grab a burger at the Parkside Pub. Lake Kegonsa (kee-gahn-zah) tends to have a slightly different feeling. Since it's further from the actual city of Madison it feels like a more peaceful lake without the hustle and bustle of city living. In this way, it can be a great option for camping or visiting at Lake Kegonsa State Park. Want to learn more about living on the Madison lakes? Then check out MadisonLakeFrontLiving.com or contact real estate agent Josh Lavik and his team today.